The Centre for Qualitative Research (CQR) is based at Bournemouth University. This Research Centre is part of The Faculty of Health & Social Sciences. CQR has remained an internationally recognised resource for knowledge transfer activities and for the alignment of teaching and research. It has increasingly become an interdisciplinary resource beyond Health and Social Care. By reinvigorating the Centre and its principles, we offer a potential springboard for cross-faculty development with Media, Business, and Science and Technology Faculties and with the Centre for Excellence in Learning (CEL). Through these collaborations and activities, we take our knowledge transfer activities and development of innovative qualitative research methos further, clearly beyond the health and social care arena. To contribute new theoretical and value based perspectives that are relevant to a qualitative understanding of the human condition. The promotion and development of innovative qualitative research approaches to inform practice. To move towards renewed collaborations with national and international partners in joint research, exhibition and dissemination programmes. A scholarly culture and opportunities that encourage and assist BU faculty and students in the publication and dissemination of methodological and applied contributions across the broad platform of qualitative methodology. The Centre for Excellence in Learning (CEL) and the Centre for Qualitative Research (CQR) are natural allies for creative endeavours–in research and dissemination for CQR, and education for CEL. Members from both centres will be working together to share ideas, skills and resources across the fusion areas of Education, Research and Professional Practice. CEL are developing a strong creative strand, led by Curie Scott with Lego, Collage and Origami workshops continuing to be taken forward in the University. For example, using collage with 60 post-graduate research students and Lego with MA Corporate Communication students. Origami is used across education and research, read a report on the Origami in Science, Maths and Education conference here. CQR is led by Kip Jones, Centre Director, and Caroline Ellis-Hill, Deputy Director. 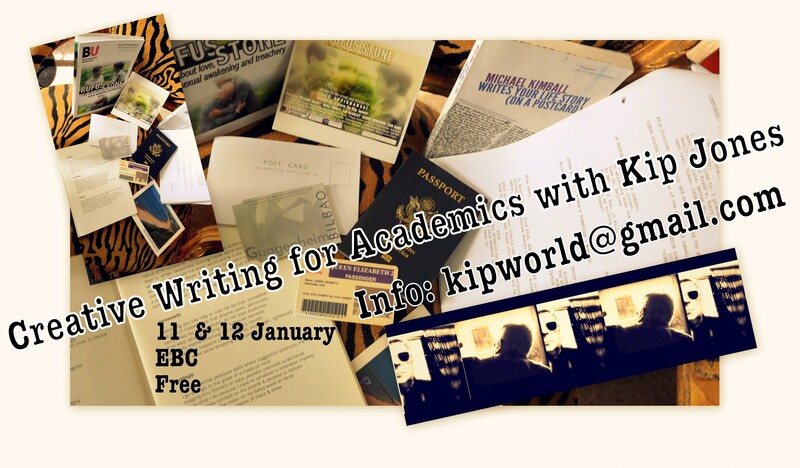 and new ways of writing–including fiction, script-writing, poetry, and auto-ethnography. CQR has been the home of the development of Performative Social Science (PSS) for more than fourteen years, led by Kip Jones. An arts-led approach to research and its dissemination, it is not simply art for art’s sake, but based in the theoretical premises of Relational Aesthetics. Recently lauded by Sage Publications, they described PSS as pioneering work that will ‘propel arts-led research forward’ and be a ‘valued resource for students and researchers for years to come’. This year’s CQR ‘Go Create!’ seminars support the BU 2025 call for “Advancing knowledge, creativity and innovation”. List of dates and topics can be found here. CEL and CQR are excited about more endeavours together in 2018 and beyond. Join us in our mutual creative endeavours! CQR colleagues Kip Jones and Lee-Ann Fenge discuss the “long tail” of meaningful community impact and the outputs needed to get there, featured in the LSE Impact of Social Science Blog. “The ’long tail’ of research impact is engendered by innovative dissemination tools and meaningful community engagement”, an article reported in the LSE Impact Blog, discusses the involvement of Jones and Fenge in almost a decade-and-a-half of research at Bournemouth University on older LGBT citizens in Britain. 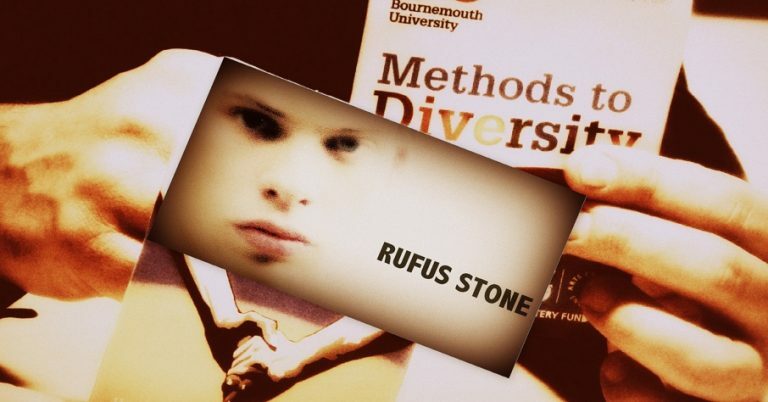 In addition to in-depth research, their efforts included producing creative outputs alongside traditional publications; the LGBT tools produced at Bournemouth University—a Method Deck to Diversity set of cards, and the research-based short film RUFUS STONE. Using these tools, they have engaged community partners not only through workshops and trainings, but also as participant researchers and members of an Advisory Committee. This work is outlined in the LSE Impact Blog, which refers to Fenge & Jones’ longer output published in the Qualitative Research Journal. A draft of that journal article, “Meaningful dissemination produces the ‘long tail’ that engenders community impact” can be downloaded here. The gala 5th Anniversary Screening and Reception for the award-winning research based biopic, RUFUS STONE was held at the historic Shelley Theatre in Boscombe 7 November from 3 p.m. until 5 p.m.
Bournemouth University’s Centre for Qualitative Research (CQR) is proud to announce its developing association with the online, qualitative journal, The Qualitative Report (TQR). Electronically published from Nova-Southeastern University in Florida, the journal was the first of its kind in both qualitative research and open-access publication solely on the Internet. The journal also publishes The Weekly Qualitative Report to subscribers. CQR is envisioned as a resource for qualitative research across departments and faculties at Bournemouth University. TQR is particularly well placed to support CQR in these efforts, with its cross-discipline approach in leading-edge, qualitative publication. 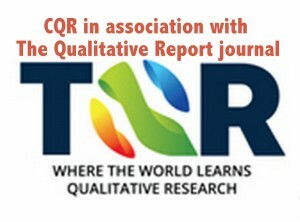 CQR is particularly interested in participation in a specific TQR editorship rubric. The scheme will offer BU academics and postgrad students the opportunity to develop their editorial skills through a three-tier process of Assistant, Associate and then finally, full Editor of the journal. Further details will follow shortly. Additional developments are also in the pipeline: possible publication in TQR Books; participation in TQR’s Annual Qualitative Conference in Fort Lauderdale, Florida, either in person or virtually; participation in Nova’s qualitative webinar series; joint research grant applications with Nova; and participation in the Graduate Certificate in Qualitative Research. The Qualitative Report (ISSN 1052-0147) is a peer-reviewed, on-line monthly journal devoted to writing and discussion of and about qualitative, critical, action, and collaborative inquiry and research. The Qualitative Report, the oldest multidisciplinary qualitative research journal in the world, serves as a forum and sounding board for researchers, scholars, practitioners, and other reflective-minded individuals who are passionate about ideas, methods, and analyses permeating qualitative, action, collaborative, and critical study. These pages are open to a variety of forms: original, scholarly activity such as qualitative research studies, critical commentaries, editorials, or debates concerning pertinent issues and topics; news of networking and research possibilities; and other sorts of journalistic and literary shapes which may interest and pique readers. 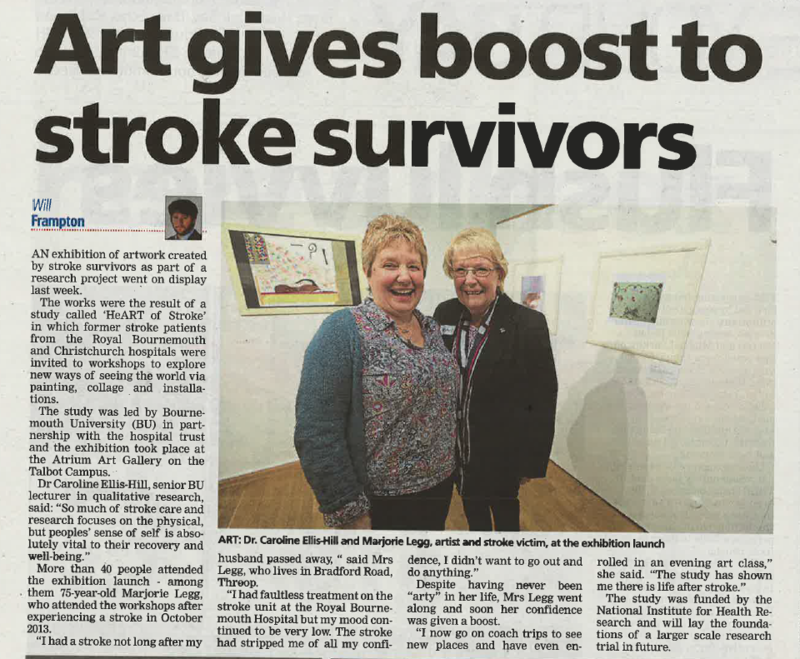 The heART of stroke art exhibition saw its launch on the 26th January with members of the public able to view pieces of work created throughout a 14 week creative workshop with stroke patients. The research work and ideas of the Centre supports pedagogic innovations and developments at undergraduate and postgraduate levels; the Centre includes staff who work across disciplinary boundaries, stimulating interdisciplinary research, and offering inspirational approaches to practice development, all of which contribute to fusion. With a focus on the human condition, we are supportive of creative approaches, using the arts to help the personal as well as academic development of students and staff; we see these as key to high quality professional practice, supporting an excellent student experience, and high staff morale. Researchers, lectures and postdoctoral staff are aligned to the Centre. The work of the Centre underpins the Professional doctorate and, traditionally, has attracted many successful PhD candidates. Members have local, national, and international partnerships with social sciences, health, and social care organisations that are committed to wider social wellbeing activity. Members of the Centre lead qualitative research, education (at both undergraduate and postgraduate level), and practice initiatives. There is a great deal of cross-fertilisation of their work between disciplines. The Centre’s passion is about how knowledge is created and disseminated in the real world and so fusion is often at the heart of the work of the Centre. The Centre for Qualitative Research offers expertise for both faculty and students whose interests are piqued by a qualitative understanding of the human condition. To champion Performative Social Science by demonstrating innovative approaches by which the arts and humanities can inform research and dissemination of social science knowledge. The development of innovative research methodologies that result in improvements to the everyday lives of citizens and communities. The promotion and development of qualitative research within the university, nationally and internationally. Collaboration with national and international partners in joint research programmes. A scholarly culture and opportunities that encourage and assist BU faculty and students in the publication and dissemination of philosophical, methodological and applied contributions in this area. Expertise and mentoring to qualitative research programmes undertaken by faculty members, students and practice partner institutions through doctoral supervision and scholarly mentorship. The provision of educational opportunities that disseminate current developments in qualitative research through workshops, staff development programmes, opportunities to work within funded research projects, lunch-time seminars, special interest groups, masterclasses, and conference activity. Websites that celebrate and promote qualitative research and which serves as an education, dissemination and information resource. Service as editors and editorial board members of leading international journals in qualitative research, service on boards of relevant national and international organisations, and service on research advisory boards and ethics committees. and a presentation at the Social Research Association in London. You can now watch the award-winning, research-based film RUFUS STONE on line and free on Vimeo. 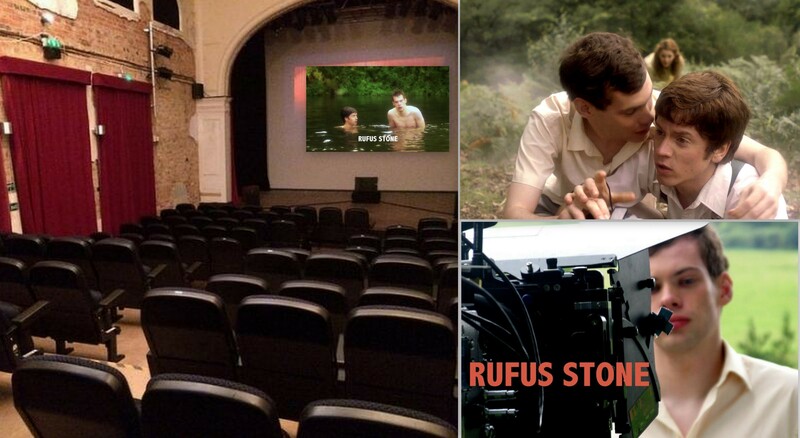 CQR is pleased to announce that RUFUS STONE was shortlisted for the AHRC Anniversary Award for Research in Film. Shot mainly in rural Dorset, Somerset and Hampshire, the film was based on research carried out at Bournemouth University by way of a grant from Research Councils UK. The AHRC jury stated: RUFUS STONE is “‘beautifully made, lyrical and moving and packs a complete narrative arc into its short span”. Humanising Services: A new transferable leadership strategy for improving 'what matters to older people' to enhance dignity in care. Humanising care philosophy underpins BU's pre-registration nursing curriculum. Special interest group fuses education, research and practice within the area of humanisation.